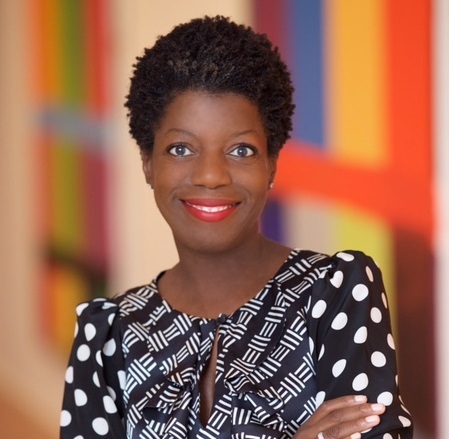 Thelma Golden is Director and Chief Curator of The Studio Museum in Harlem, the world’s leading institution devoted to visual art by artists of African descent. Golden began her career as a Studio Museum intern in 1987. In 1988, she joined the Whitney Museum of American Art, where she launched her influential curatorial practice. Over a decade at the Whitney, she organized numerous groundbreaking exhibitions, including Black Male: Representations of Masculinity in American Art, in 1994. She was also a member of the curatorial team for the 1993 Biennial. In 2000, Golden returned to the Studio Museum as Deputy Director for Exhibitions and Programs, working closely with Director Lowery Stokes Sims. She succeeded Dr. Sims as Director in 2005. Under her leadership, the Studio Museum has gained increased renown as a global leader in the exhibition of contemporary art, a center for innovative education, and a cultural anchor in the Harlem community. Golden’s curatorial vision has cemented the Museum as “one of New York City’s most consistently stimulating and innovative art institutions,” according to Holland Cotter of the New York Times. Her tenure as Director has been characterized by a deep commitment to planning for the Museum’s future. In 2015, the Studio Museum announced plans to create a new facility, designed by Adjaye Associates in conjunction with Cooper Robertson, on its current site in Harlem. The new building will be the Studio Museum’s first purpose-built facility since its founding in 1968. Golden holds a B.A. in Art History and African American Studies from Smith College. She has received honorary doctorates from the City College of New York (2009), San Francisco Art Institute (2008), Smith College (2004), and Moore College of Art and Design (2003). In 2010, she was awarded a Barnard Medal of Distinction from Barnard College. That same year, President Barack Obama appointed Golden to the Committee for the Preservation of the White House, on which she served from 2010–2016. She currently serves on the Board of Directors for the Barack Obama Foundation and the Los Angeles County Museum of Art. She is a 2008 Henry Crown Fellow at the Aspen Institute, and in 2016 received the Audrey Irmas Award for Curatorial Excellence from the Center for Curatorial Studies at Bard College. In 2015, she was appointed as a Ford Foundation Art of Change Visiting Fellow. Golden is a recognized authority in contemporary art by artists of African descent and an active lecturer and panelist speaking about contemporary art and culture at national and international institutions. Her 2009 TED Talk, “How Art Gives Shape to Cultural Change,” examines how contemporary artists continue to shape dialogue about race, culture and community.